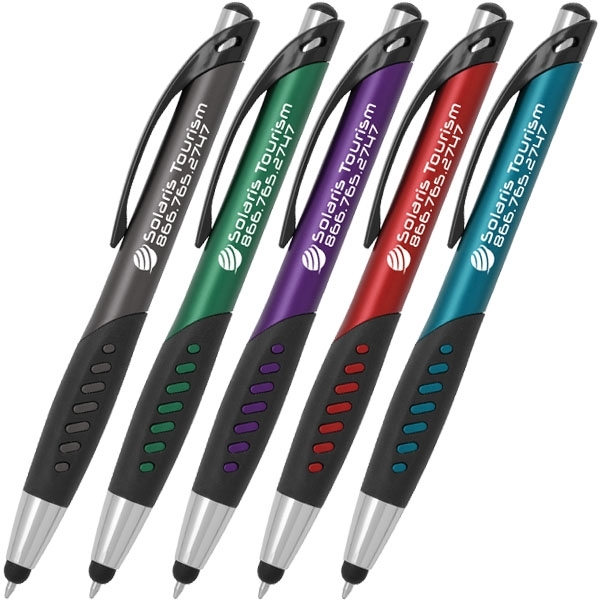 Retractable ballpoint pen with Comfort-Inlay™ grip and a stylus tip. Satin finish. Black ink. Patent: D663,773.